Ettin, Gnome, and Clove, some of the developers of the FATE game Breakfast Cult, join Ironicus, Medibot, and Ambisagrus-- in detention. Someone among their classmates broke into the forbidden underground archives, and stole something powerful and dangerous-- if they can't find out who, they'll miss the big game, and be consumed by some cyclopean horror! Read the Breakfast Cult Primer! 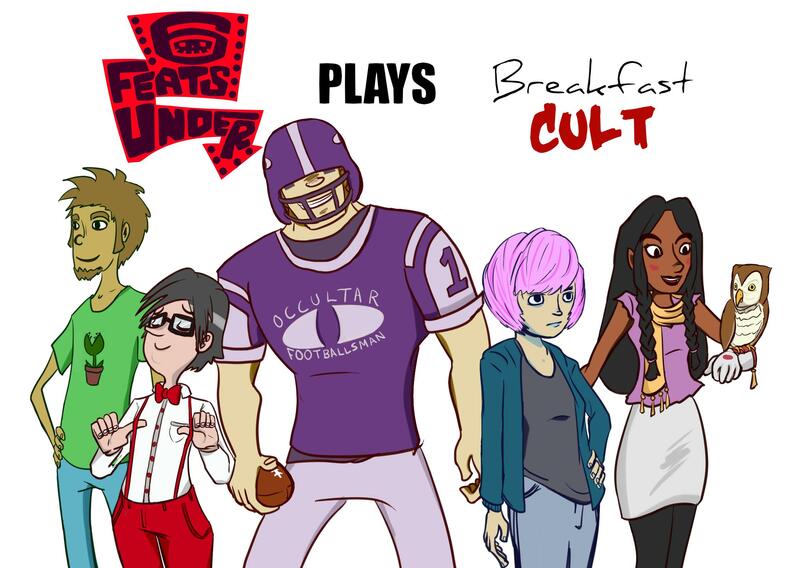 Be sure to check out the Breakfast Cult Kickstarter! Check out video sessions on YouTube!